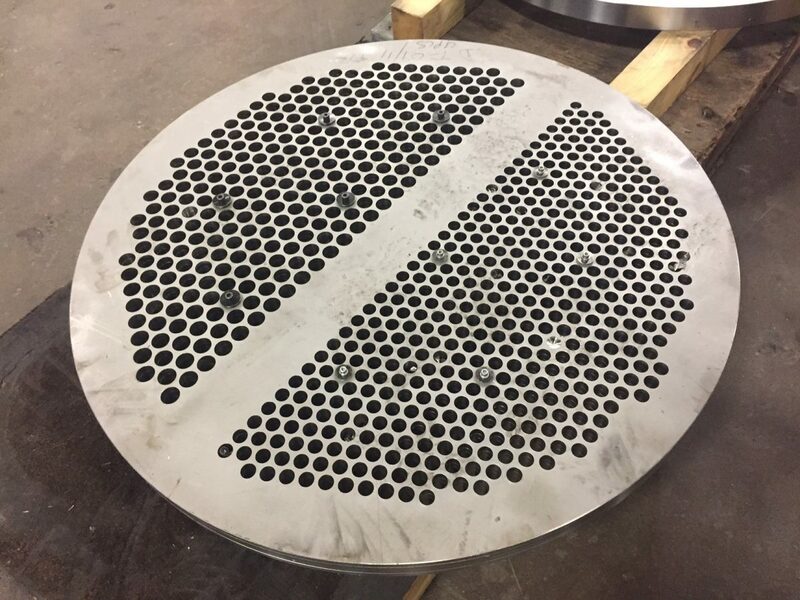 This image shows a stack of four type 304 ½” thick x 40” outside diameter heat exchanger baffles with 5/8” diameter holes drilled in the stack for speed and economy. This was done on the new Sandmeyer Steel Company Quick-Mill Annihilator. 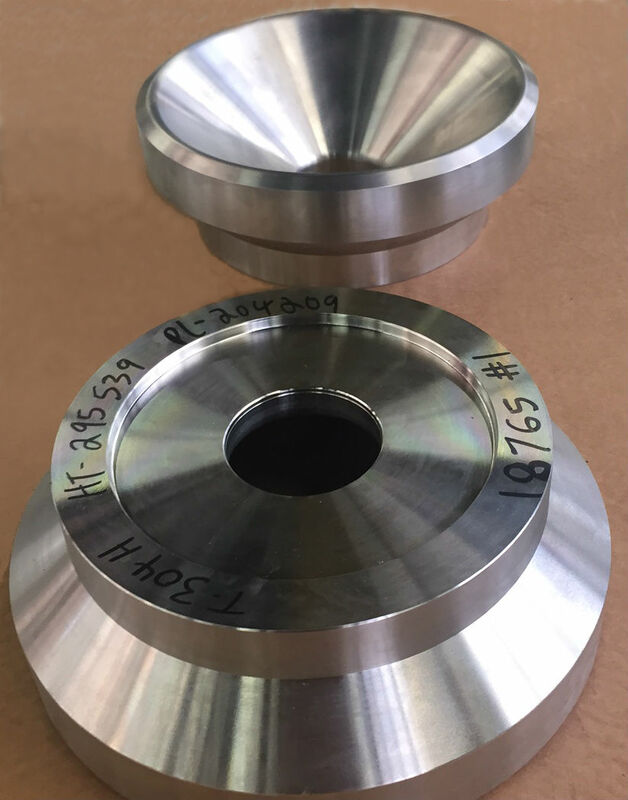 This is a recent piece we did for our thermal processing equipment manufacturer customer. It’s 9 ft long, cut from 800 with a beveled edge, done on our waterjet machine. This picture shows the top and bottom of a job done recently at Sandmeyer using a multi-step process. First, the piece was put through the machine shop and we roughed the OD and the ID, taking a lot of the bevel off. 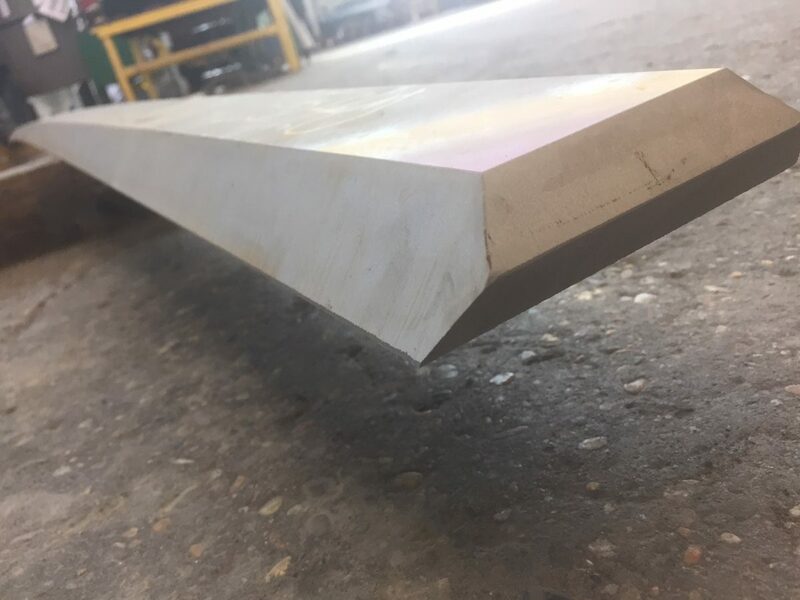 Next, the pieces were brought to be finished on our heavy duty milling machine. To learn more about our value-added plate processing capabilities, click here. Here is a recent example of a job we shipped out to our customer. 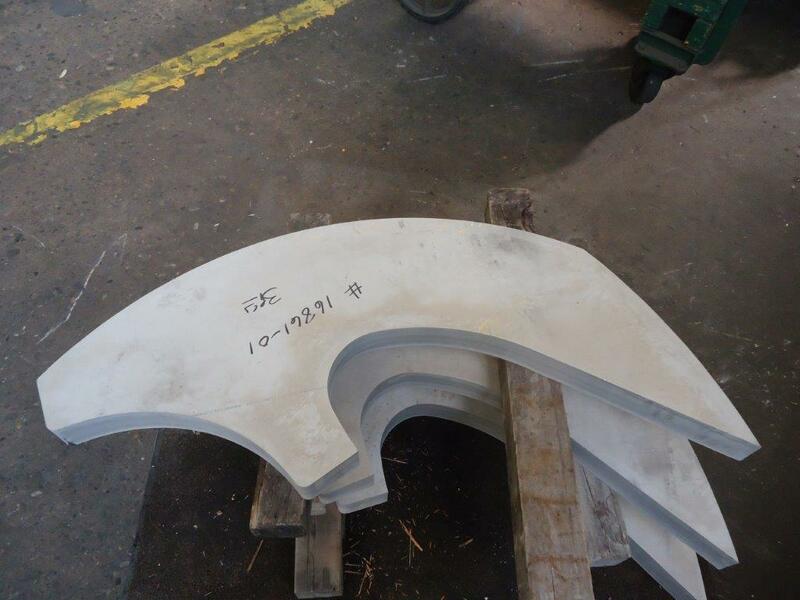 With our vast in-house plate processing capabilities, Sandmeyer is able to cut special shapes with speed and accuracy, including intricate and unusual shapes like this one.